The future of California’s proposition 64, which legalized marijuana for adult-use (also known as recreational use) is now uncertain in the wake of a new memo by Attorney General Jeff Sessions. Attorney General Jeff Sessions issued a memo today that rescinds the Ogden and Cole memos issued under the Obama Administration. A detailed discussion of those memos is beyond the scope of this article. Briefly, they set out guidelines for US Attorneys regarding enforcement of federal marijuana laws in states where it is legal. The Ogden and Cole memos make enforcement of federal law low priority for individuals and businesses operating in compliance with their state’s laws. The memos further give specific examples of when enforcement of federal marijuana laws should be a priority, such as when a business uses state laws as a cover to sell to minors, to engage in interstate marijuana sales, or to participate in organized crime and sales of other drugs. 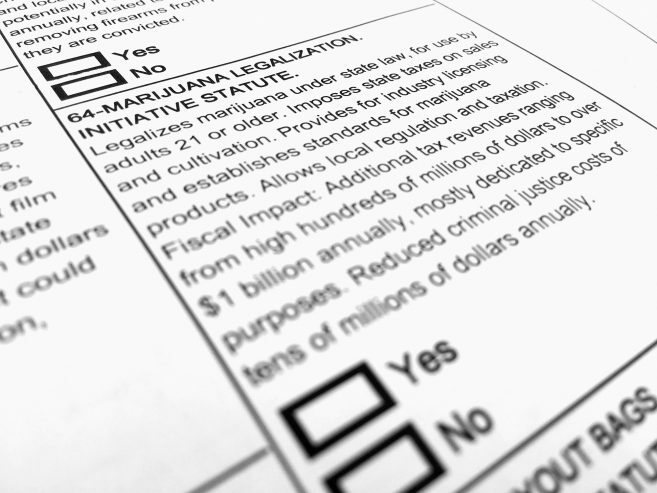 The present state of the marijuana industry is largely based on these memos. Session’s memo explicitly withdrew these memos and their enforcement priority schemes. We are entering a brave new world. It is important to note what the Sessions memo does not do. First of all, it does not direct US Attorneys to prosecute individuals and businesses in the marijuana industry. In the hysteria that is already setting in, this is worth keeping in mind. The Session’s memo states, “In deciding which marijuana activities to prosecute under these laws with the Department’s finite resources, prosecutors should follow the well-established principles that govern all federal prosecutions.” To be sure, this is cold comfort; however, the fact is that the Justice Department simply does not have the means to prosecute even a fraction of the marijuana businesses operating lawfully under their state’s laws. Second, the memo does not affect individuals and businesses in medical marijuana states. Since 2014, Congress has passed several consecutive budget riders regarding medical marijuana. These riders, commonly known as the Rohrabacher-Farr Amendment (the Amendment), prohibit federal funds from being used to interfere with state-legal medical marijuana programs. The Amendment has been upheld in court rulings, most notably in U.S. v. Marin Alliance for Medical Marijuana (MAMM), Case No. 98-00086 (MAMM), and U.S. v. McIntosh, Case No. 15-10122 (2016) (McIntosh). In MAMM Judge Breyer found that a prior injunction prohibiting a California medical marijuana dispensary from operating was unenforceable except to the extent that the dispensary was not compliant with state law, even though the dispensary’s acts were in direct violation of federal law. Last summer, Sessions specifically requested that Congress not renew the Amendment. Fortunately, Congress passed it anyway. Third, the memo does not affect the industrial hemp industry. The 2014 Farm Act explicitly removed industrial hemp from the definition of marijuana under federal law. A detailed discussion of industrial hemp and the Farm Act is beyond the scope of this article. Suffice it to say that the memo does not change anything about industrial hemp. What can we expect from the memo? That is an open question. As I stated above, the Justice Department does not have the resources to prosecute everyone, or even a fraction of the people and businesses, in the adult use marijuana industry. Whether we will see some high profile prosecutions remains to be seen. Certainly, the memo will have a chilling effect, particularly with new investment. Although he does not mention California, it is clear that Sessions timed the memo to coincide with the January 1 rollout of California’s new adult use marijuana laws. Many lawmakers and government officials are pushing back. Senators Cory Gardner of Colorado and Lisa Murkowski of Alaska have already spoken out against the memo. This brings up what may be a “silver lining”, namely, that the Sessions memo will be the catalyst for Congress to enact real marijuana reform legislation at the federal level. Despite overwhelming public support for adult use marijuana (recent polls indicate that over 60% of Americans favor it), Congress has failed to act. This could be, in part, because it did not really have to. So long as the Ogden and Cole memos kept the marijuana industry feeling reasonably secure in its quasi-legal status, Congress was not impelled to change the law. Now that the memos have been rescinded, the safety net (flimsy as it was) is gone, and Congress may be pressured into changing the law. If ever there was a time to reach out to your Congressional representatives, now is that time. This article is also being published in the Cannabis Law Report, January 4, 2018. Thanks to Sean Hocking, John Taylor, and the entire CLR group for their excellent journalism about the cannabis industry.